Why we like it: Taylor slipped on a bright yellow A.L.C. 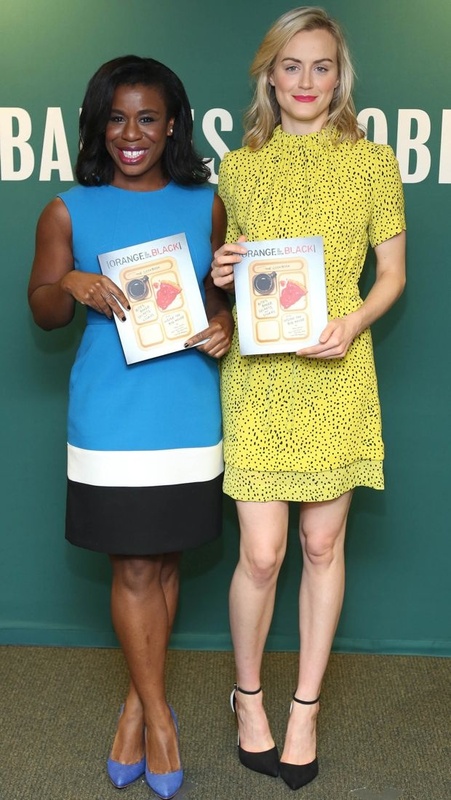 dotted short sleeve dress with layered skirt to help promote the cookbook alongside co-star Uzo Aduba. Two-tone Schutz ankle strap pumps capped off the look.